After a 2-3 week, Alex Sibley brings you five more locks, including who will win the main event at UFC 128 Saturday night. My streak of 3-2 that lasted over a month is officially over. The fat lady finally came my way and sang her song, which was way overdue. Unfortunately, my 3-2 record that I couldn't tolerate any more turned into a 2-3 mark, which is just the second time in 10 weeks that I finished below .500. It's a bitter taste, but I guess I should have been happy with the winning record. Hindsight is 20-20, or so they say. The overall record took a dent this week, falling to 31-26. I have to take the majority of the blame. I shouldn't have expected much when I picked the Cleveland Cavaliers and New York Mets. Hell, even Kobe Bryant couldn't come through in the clutch when I needed it. My only wins came from the NHL, as Pittsburgh and Washington both notched victories, saving some pride. But that was last week. I'm going to try and do my best Charlie Sheen impression in Week 11 of Monday Morning Locks and simply win. Let's get it going with the most consistent team in the NBA. They're not flashy. They don't have superstars that grace the covers of Sports Illustrated or ESPN The Magazine. All the San Antonio Spurs have done this season is earn the NBA's best record and dominate the Western Conference. Just over a week ago, they controlled from start to finish en route to a 30-point win over a completely healthy Miami Heat team – a preseason favorite to win the title with the additions of LeBron James and Chris Bosh. Tonight, the Spurs get another shot to show how powerful they are with a rematch with the Heatles in South Beach. It's a different venue, but count on it to be the same result. The last two weeks has been a grease fire for the Heat, who despite a win over the Lakers, have lost five of their last nine games to fall into third place in the Eastern Conference. The Spurs aren't a group of superstars; their just simply a team that plays well together – something the Heat is still trying to learn. I like the veteran leadership of San Antonio and playing on the road isn't an issue, as they lost just nine times in 32 games away from home. Do yourself a favor and head down to Tullio Arena Friday night and watch the best women's hockey team in the nation play in the semifinals of the NCAA Frozen Four. The Big Red of Cornell University cruised past Dartmouth 7-1 in the NCAA Quarterfinal round, which would have set up another matchup against Mercyhurst College had it won against Boston University. Cornell is good. Very good. If you don't believe me, just take a look at some of these stats: They score four goals a game, while only allowing an average of one against. They have given up eight power-play goals in 34 games. The Big Red have scored 156 total goals while allowing just 35. Their defense is led by arguably the best female defenseman in the nation, Laura Fortino, who has 41 points and a plus/minus rating of +46. Her partner, Lauraine Rougeau is a +52. To make it simple: they're the best team by far in the nation. Take Cornell in this matchup. At UFC 128 this Saturday in New Jersey, fight fans have the potential of seeing the fight of the year when Jon 'Bones' Jones takes on Mauricio Shogun Rua to find out who is the No. 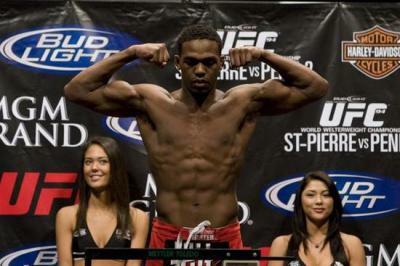 1 contender in the Light Heavyweight division, which will lead to a title shot against Frankie Edgar. Shogun has beaten some of the best in the UFC – Chuck Liddell, Lyoto Machida and UFC legend Mark Coleman to name a few. Jones on the other hand has lost just one time in seven tilts inside the octagon, while beating Brandon Vera and Ryan Bader to build an already impressive resume. These two are a perfect matchup for each other and this fight will be a toe-to-toe battle throughout. But you have to give Jones the advantage for one reason – his pure athleticism. He's quick, agile and even though he's just 23-years old, he looks like a seasoned vet when the cage door slams shut. Plus, recently, you just don't know which Rua is going to show up. He's coming off an injury which could wreak crush his chances. If you're not 100-percent healthy going into a fight with Jones, he'll pick you apart. Jones is much more consistent and it's his time to shine and make a name for himself. Take Jon 'Bones' Jones with an early stoppage Saturday. Although her season ended prematurely, Meghan Agosta should earn one last award to end her historic career with the Mercyhurst College women's hockey. On Saturday, the NCAA will hand out the Patty Kazmaier Memorial Award to the nation's best female hockey player. Agosta finished her senior season with the 'Hurst with 86 points and has been the face of a program that has made the Frozen Four the last three seasons. Earlier this year she became the all-time leading scorer in women's hockey history. There is no doubt that Mercyhurst got the short end of the stick when it was selected as a No.6 seed in the NCAA Tournament this year, but it would be an even bigger snub if Agosta didn't earn the MVP award because there isn't a player in nation that can change a game like Agosta has done her whole career. It's March Madness time, folks. Check out next week, as Monday Morning Locks will be all about the bracket. But, we might as well pick one game this week. Penn State, after a strong showing in the Big 10 Tournament, earned a 10-seed and will take on Temple in the first round. No real reason to go into detail or try to breakdown the game here, it's college basketball in March – anything can happen. I'm going strictly on feeling in this one, and mainly because upsets happen – it's what makes the tourney so darn good.